Earlier this year, there was a discovery of a new species of spider which have been discovered in the Sands of Samar, which is part of the southern region (Arava) in Israel. The pictures that have been released by the University of Haifa-Oranim are enough to send shivers down the spine of someone who suffers from arachnophobia. The spider in question has a leg span of about 5.5 inches; this new spider is rumored to be the biggest or the largest of its types in the whole of the Middle East. The habitat of this spider is endangered. It is said that there could be other species that could be seen in that area; and the scientists are hoping that they can come across the various species of the region before they become extinct. There is that fear of them going to the depths of extinction without even having seen the light of the day, in terms of researchers discovering their species. Given the discovery of this new species, the researchers and the locals feel a renewed need to preserve the dunes of the Sands of Samar. The region of Sands of Samar are the last of the sand dunes that remain today in the territory of Israel. In the glorious natural past of this region, the sands were known to stretch for about three square miles. All this has changed in the recent times and the reasons for this have been the fact that rezoning has occurred for reasons like agriculture; and sand quarrying is also being carried out in the region. In today’s date and day, the sands have been reduced drastically; and only about 50% of the original sand stretch exists. The spider that has been discovered belongs to the family of the Cerbalus genus. 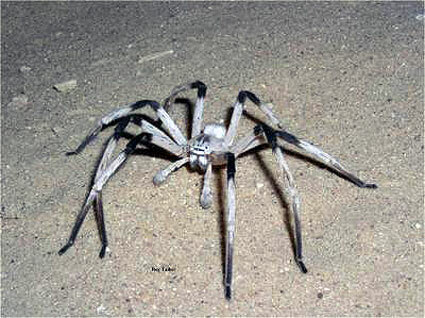 Given the fact that this spider has been found in the region of Arava, it has been called Cerbalus aravensis. Not too much is known about the details related to its biology; but one thing that is known is that this is a nocturnal spider; and is said to be the most active during the months that are hot. This spider is said to create an underground den and this is closed by a door, which is the likes of a ‘lifting door’, and this is made up of sand particles which get glued together to camouflage the den. The bad news is that the region of Sands of Samar is being considered for the renewal of mining projects. If this project does fall through, it can endanger the very existence of this rare spider species. The discovery of this spider has shown that there are chances of many more such species being discovered in the dunes here; and renewing the mining projects or not taking adequate care of the region could mean losing a chance of getting to know these species ever. A whole new kind of Spider has been discovered. It is now known as the largest spider in the middle east. The sad detail about this spider is that it is severely endangered. 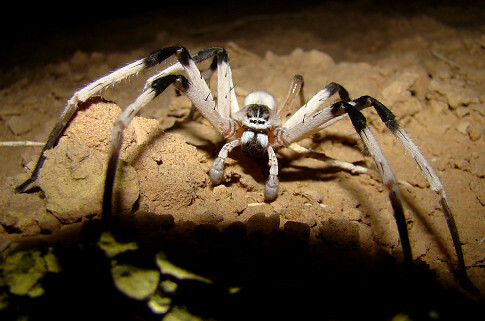 A team of scientists discovered the spider in the dune of the Sands of Samar in the southern Arava region.